Essential services, medical care, government agencies, clean water, were all disrupted. Images of the aftermath, of the tent cities, of the overflowing medical clinics, of the food lines, were broadcast across the world. Two Marines, Jake Wood and William McNulty, knew they could help. Together with six other veterans and first responders, they gathered funds and medical supplies from friends and family and flew into the Dominican Republic. They rented a truck, loaded their gear, and headed west to Haiti. When they crossed the Artibonite, the river border between Haiti and the Dominican, they crossed their Rubicon; the initial group of eight were irrevocably committed to their task of providing aid to Haiti. And they did. They treated thousands of patients, traveling to camps deemed “too dangerous” by other aid organizations. They ventured outside the traditional scale of disaster response, focusing on those who would be overlooked, untreated. They bridge the gap between military and civilian life. Covenant House was founded in 1972 with the simple, profound mission to help homeless kids escape the streets. Today it is the largest privately funded charity in the Americas providing loving care and vital services to homeless, abandoned, abused, trafficked, and exploited youth. To break the cycle of chronic adult homelessness and bridge the gap of support in the lives of our youth, Covenant House has developed three core services known as its Continuum of Care: Street Outreach, Crisis Care, and Rights of Passage. These core services are comprised of a wide array of in-house training programs, including healthcare, educational support, GED preparation, job readiness and skills training, drug abuse treatment and prevention, legal services, mental health services, the Mother/Child program, life skills training, and aftercare. These programs are designed to provide youth with a holistic approach to leaving the streets and achieving independence. 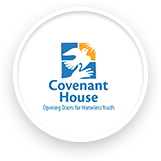 Learn more about Covenant House. For more than 100 years, Big Brothers Big Sisters (BBBS) has operated under the belief that inherent in every child is the ability to succeed and thrive in life. As the nation’s largest donor and volunteer supported mentoring network, BBBS makes meaningful, monitored matches between adult volunteers (“Bigs”) and children (“Littles”), ages 6 through 18, in communities across the country. BBBS provides children facing adversity, often those of single or low-income households or families where a parent is incarcerated or serving in the military, with strong and enduring, professionally supported one-to-one mentoring relationships that change their lives for the better, forever. BBBS holds itself accountable for children in its program to achieve measurable outcomes such as educational success, avoidance of risky behaviors, higher aspirations, greater confidence and better relationships. The BBBS Youth Outcomes Survey substantiates that its mentoring programs have proven, positive academic, socio-emotional and behavioral outcomes for youth, areas linked to high school graduation, avoidance of juvenile delinquency and college or job readiness. Every day, millions of children spill onto the playgrounds of America’s schools at recess. While recess appears to be just a break in the school day, it is actually critical for children and their learning. Recess is the time children can be physically active and learn valuable lessons about teamwork and cooperation, how to resolve simple conflicts and how to manage their own play. Unfortunately, in many schools, recess can also be a chaotic time filled with conflicts and commotion. Playworks partners with schools across the country to transform recess into an active, fun and positive part of the school day. As a result, children return to their classrooms eager and ready to learn. Since 1996, Playworks has been transforming America’s schools, tapping into recess, working alongside teachers in the classroom, and developing leadership, conflict resolution and team play as opportunities to take learning one step further than traditional classroom teaching. Directly supporting schools, teachers and students, Playworks is the only organization in the country dedicated to maximizing the educational impact of recess and play while providing fun and engaging options for kids to play and be physically active with their classmates. Take a recess of your own and check out Playworks. STOMP Out Bullying™ is the leading national anti-bullying and cyberbullying organization for kids and teens in the U.S. STOMP Out Bullying focuses on reducing and preventing bullying, cyberbullying, sexting and other digital abuse, educating against homophobia, racism and hatred, decreasing school absenteeism, and deterring violence in schools, online and in communities across the country. They teach effective solutions on how to respond to all forms of bullying; as well as educate kids and teens in school and online, providing help for those in need and at risk of suicide, raising awareness, peer mentoring programs in schools, public service announcements by noted celebrities, and social media campaigns. An additional focus educates parents on how to keep their children safe and responsible online. Sadly, the issues of bullying and cyberbullying have increased to alarming proportions. As a form of violence against children of all ages, these issues have caused a crisis. Some victims are so tormented that suicide has become an alternative for them. STOMP Out Bullying™ works aggressively to prevent these issues and to help those affected by it. Find out more about STOMP Out Bullying and learn how you can join the fight. Starlight Children’s Foundation partners with experts to improve the life and health of kids and families around the world. Starlight originally launched in the early 1980s as a wish granting organization and rapidly expanded its services to include an extensive menu of unique, groundbreaking and trendsetting family-centered programs. Starlight has maintained its leadership in helping families with hospitalized children cope with the challenges of a medical journey through programs such as Starbright World®, the first-ever online social network for teens with chronic and life-threatening medical conditions and their siblings, and the newly debuted Starlight Wish Lists, a cutting edge technology platform that enables donors to fill specific unmet hospital needs directly and efficiently. For more than 30 years, Starlight has been a leading global charity improving the life and health of kids and families. Starlight partners with experts and innovators in healthcare, entertainment and technology to create a unique blend of family-centered services from hospital to home. Today, Starlight partners with more than 1,750 healthcare facilities and major pediatric hospitals around the world, serving millions of children every year. Take a little time to learn more about Starlight Children’s Foundation and all they do. Make-A-Wish grants the wishes of children diagnosed with life-threatening medical conditions, and does so every 38 minutes, on average, in the United States and its territories. The organization believes that a wish experience can be a game-changer, which inspires them to grant wishes that change the lives of the kids they serve. To find out how you can get involved as a donor, sponsor or volunteer check out Make-A-Wish. “Volunteers at The Trevor Project are truly saving lives on a daily basis – I can’t think of any greater way to serve others,” said Brad Jamison. To find out about volunteer opportunities, including those you can do at-home, check out The Trevor Project. Founded in 1866, the ASPCA was the first humane organization in the Western Hemisphere. Its mission, as stated by founder Henry Bergh, is “to provide effective means for the prevention of cruelty to animals throughout the United States.” Today, the ASPCA works nationally to rescue animals from abuse, pass humane laws and share resources with many shelters across the country. The ASPCA offers animal lovers a host of ways to get involved, from unique fundraising opportunities to creative ways to help animals in your community and at local shelters. In fact, the Get Involved section of its website is so robust with great ideas that we think with a little creativity you can tweak them to apply to nearly any cause that’s important to you. Get involved with the ASPCA today! Youth Service America (YSA) improves communities by increasing the number and the diversity of young people, ages 5-25, serving in substantive roles. YSA organizes a network of 800+ partners that activate youth to serve. Through its Global Youth Service Network, YSA achieves global scale and local depth, engaging young people worldwide in the issues that matter most to them and to their communities. In 2012, there were 5,040 projects reported through YSA programs, 3,243 communities served through YSA campaigns and 1.2 million people served through YSA programs. Those numbers were achieved due to 625,761 youth engaged directly in YSA programs, who gave nearly 3.4 million hours of service, which is valued at $74 million. To learn more about how you or a young person in your life can get involved, check out Youth Service America. Habitat for Humanity believes that every man, woman and child should have a decent, safe and affordable place to live. They build and repair houses all over the world using volunteer labor and donations. And, their partner families purchase these houses through no-profit, no-interest mortgage loans or innovative financing methods. Habitat has more than 1,500 local affiliates in the United States and more than 70 national organizations around the world. Together, they have helped to build or repair over 800,000 houses and serve more than 4 million people worldwide. To find out how to help build someone a home, check out Habitat for Humanity. Points of Light (POL) is the world’s leading volunteer organization with more than 20 years of history and a bipartisan presidential legacy. POL’s mission is to inspire, equip and mobilize people to take action that changes the world. POL connects people to their power to make a meaningful difference by providing access to tools, resources and opportunities. They equip volunteers to use their time, talent, voice and money to meet the critical needs of our communities. By 2015, POL aims to reach 50 million people annually to raise their awareness and inspire them to make a difference; provide people with access to one million projects and other opportunities to learn new skills and engage in work to improve their communities; and, mobilize 10 million people each year to use their time, talent, money and voice to create community change. Take a little time to learn more about Points of Light and all it offers. Boys & Girls Clubs of America seeks to enable all young people, especially those who need it most, to reach their full potential as productive, caring, responsible citizens. They do this by providing kids and youth across the county access to programs focused on: enhancing educational engagement; exploring career opportunities; building character and leadership skills; developing health and life skills; providing access to the arts; taking part in sports, fitness and recreational activities; as well as specialized programs. Boys & Girls Clubs of America delivers on its mission thanks to the hard work of some 4,000 local clubs spread out across the country. These local clubs rely heavily on local support for both funding and volunteers to enable them to provide the vital services they offer. Whether you are coaching a team, assisting with homework, reading stories, serving as a board member, or one of the other ways you can serve your local club, you are sure to have an impact on the kids and we guarantee they will have one on you. We hope you will consider giving your time and/or money to a Boys & Girls Club near you. To find your local club, head to Boys & Girls Club of America. To learn more about Brad’s experience with Boys & Girls Club of Hollywood, check out Day 9 of his Thirty Days of Service. KaBOOM! is a fantastic organization dedicated to saving play for America’s kids by creating safe playspaces. They build playgrounds, designed with the help of kids, in communities around the country with the support of individuals and organizations from the public and private sectors. To date, they have built more than 2,000 playgrounds, saving play for more than 5.5 million kids. KaBOOM! also provides incredibly rewarding and memorable service opportunities. When you volunteer with KaBOOM!, you sign up for an amazing experience that begins in an open, undeveloped space and ends with you standing among a beautiful, brand new, safe playground that will be enjoyed for generations to come – and you helped create it! 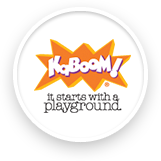 We encourage you to check out KaBOOM! and see if they have any playground builds coming to your area. You can also learn about other ways you can be of service in the effort to save play. To learn more about Brad’s experience with KaBOOM!, check out Day 28 of his Thirty Days of Service. Dream Foundation is passionate about making dreams come true for adults suffering life-limiting illness, and in doing so, improving the quality of their lives in ways medicine alone cannot. As the first and largest national wish-granting organization for adults, Dream Foundation has been touching lives, meeting needs, reuniting families, and providing peace, closure and joy at the end of life for two decades. Thanks to the service of hundreds of volunteers, as well as hospice and healthcare organizations nationwide, they fulfill thousands of dreams across the country every year. There are many ways to get involved with Dream Foundation and serve those facing the end of life. Whether it’s donating airline miles, adopting a dream, supplying items on the “wish list,” volunteering to deliver a dream or something else, you are sure to find your energy well-spent and the experience priceless. We encourage you to check out Dream Foundation and see how you can serve, again there are so many ways. If you are in the Santa Barbara area be sure to check out the Flower Power program. And, if you know of an adult battling a life-limiting illness, look into how you can apply to have his or her wish granted – now that’s an act of service! To learn more about Brad’s experience with Dream Foundation, check out Day 4 of his Thirty Days of Service. Wounded Warrior Project’s (WWP) mission is straightforward, but not simple – to foster the most successful, well-adjusted generation of wounded service members in our nation’s history. Working solely with military members who were wounded on or after September 11, 2001, and their families, WWP has an array of programs and services to serve warriors with every type of injury – from the physical to the invisible wounds of war. As of June 1, 2013, WWP has helped more thank 30,000 veterans and service members. Currently, WWP is not accepting applications for new volunteers, due to the generous outpouring of support from American’s. But, they offer many others was to serve, including organizing your own fundraising event, participating in a 10- to 12-mile obstacle course or advocating for WWP online. There is also another way, a favorite of Good Citizen’s, which is to send a “Thank You” card to a wounded warrior! Check out Wounded Warriors Project to learn about how you can get involved. At a minimum, send a “Thank You” card – they are deeply appreciated. The It Gets Better Project’s mission is to communicate to lesbian, gay, bisexual and transgender youth around the world that it gets better, and to create and inspire the changes needed to make it better for them. This is done primarily through the recording and sharing of very personal stories of those who know firsthand that it does get better. To find out how you can be of service by sharing your story or to learn about other ways to support the Project, check out It Gets Better. To learn more about Brad’s experience with the It Gets Better Project, check out Day 8 of his Thirty Days of Service.